・Friend found her slumped in the bathroom at her home in Bourne, Lincs. How many lines can you fit in per page? I’ll come in your car, if you can fit me in. A fish bone had lodged in her throat. A piece of meat lodged in his throat. The bullet is still lodged in her brain. Sam’s body slumped to the floor. She slumped into the chair, exhausted. She slumped to the floor in a faint. Profits slumped to under $250 million. The value of property has slumped. Car sales have slumped dramatically over the past year. 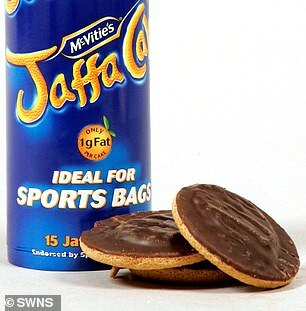 A young mother choked to death when she tried to see how many Jaffa Cakes she could fit in her mouth for a party trick. 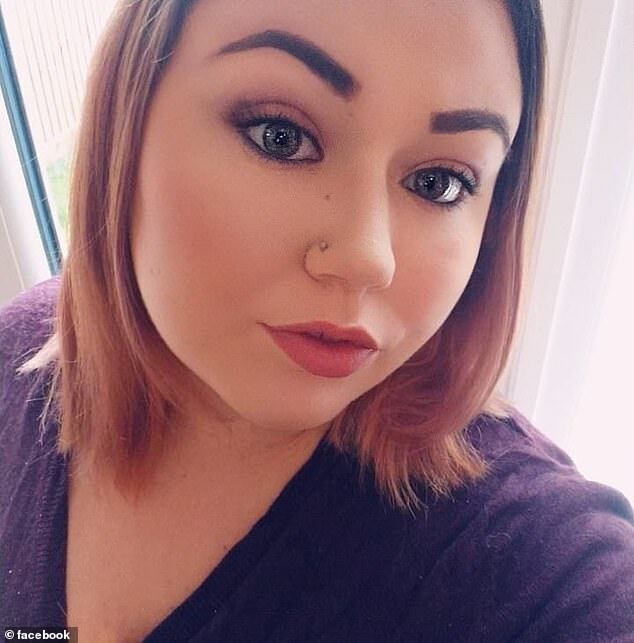 The mother-of-one collapsed at home in Bourne, Lincolnshire on February 22 and was rushed to a hospital. Kerry spat the sauce back onto her plate. He spat the meat out in disgust. They bought watermelons and ate them as they walked, spitting out the seeds. Tragically, the beauty therapist suffered a heart attack and she died five days later at Peterborough City Hospital. She said: ‘I remember raising my eyebrows when Bethan started the game, thinking “how old are you?” and telling her to spit them out. ‘She was like a little hamster with her cheeks bulging. A short time later a friend went to check on Ms. Gaskin and found her slumped on the bathroom floor. Her desperate mother dialed 999 and one of her friends performed CPR while they waited for the ambulance to arrive. Her adoptive parents were farmers. He raised his eyebrows over some of the suggestions. Her bags were bulging with shopping. His biceps bulged as he lifted the weights. Ms. Gaskin was in the hospital for five days before doctors realised the extent of the brain damage. Mrs Gaskin sobbed: ‘She looked perfect and so beautiful. It was just like she was sleeping. ‘So many people have said they play a similar game with marshmallows. Even my 90-year-old aunt said she does it with Maltesers. The family also told of the heartbreaking moment they told Ms. Gaskin’s three-year-old daughter Lili about her mother’s death. Mrs. Gaskin said: ‘I just told her that mummy was very sick and the doctors couldn’t make her better so she has died and we can’t see her again. Her devastated father Joe, 57, added: ‘We just tell her that mummy is an angel in heaven now. Ms. Gaskin donated her heart, liver, kidneys, pancreas and one of her lungs. Mr. and Mrs. Gaskin adopted Bethan when she was six months old as well as her brother Joseph when he was born two years later. Ms. Gaskin had worked as a carer and was now hoping to pursue a career in the beauty industry. Her father added: ‘There was more make-up in her flat than anything else. ‘Bethan enjoyed spending time with her friends and also took part in medieval re-enactments. ‘She was also looking forward to raising Lili and giving her all the opportunities she enjoyed herself as a child. A family friend, Julie Loveridge, has set up a fundraising page to help the family give Lili the experiences. Mrs. Gaskin added: ‘Lili was her life and she wanted her to experience everything she had done. ‘Joseph worshipped his sister when they were younger and now he and Lili are very close. ‘Bethan was only 5ft 2ins and Joseph is 6ft but she always put him in his place and now Lili does too. We don’t yet know the extent of his injuries (= how bad his injuries are). Most of the exhibits are too fragile to be sent abroad. Be careful with that vase – it’s very fragile. She has a degree in medieval history. Civil War re-enactments are regularly held in towns like Gettysburg. His junior officers worshipped him. They worshipped political and social success. As a child, I worshipped my older brother. As kids, we worshiped our Aunt Martha, who let us sleep late and took us to great places.